It was very popular during the Victorian Era to make and wear jewelry out of a loved one’s hair. In Europe and the U.S., a lot of women made elaborate wreaths, necklaces, bracelets and all sorts of pieces out of hair and wire, often with floral designs. Wreaths made from the hair of one deceased person were usually objects of mourning, while wreaths made from the hair of multiple people—dead and alive—were more like sentimental family trees. During this time period, it was a way for women to tend to their homes­–a form of housekeeping. They were made to show connections to people who had died but also to the living, similar to friendship bracelets. However, trends fade and this woven hair style eventually went out of fashion around 1925. Though woven hair was very popular during the Victorian era, in the modern period hair art can have a more political subject. In the 1980s and 1990s feminist artists would use a woman’s hair for a different kind of powerful meaning, often making statements about women in society. For example, artist David Hammond uses hair in his art to reflect the African American experience. 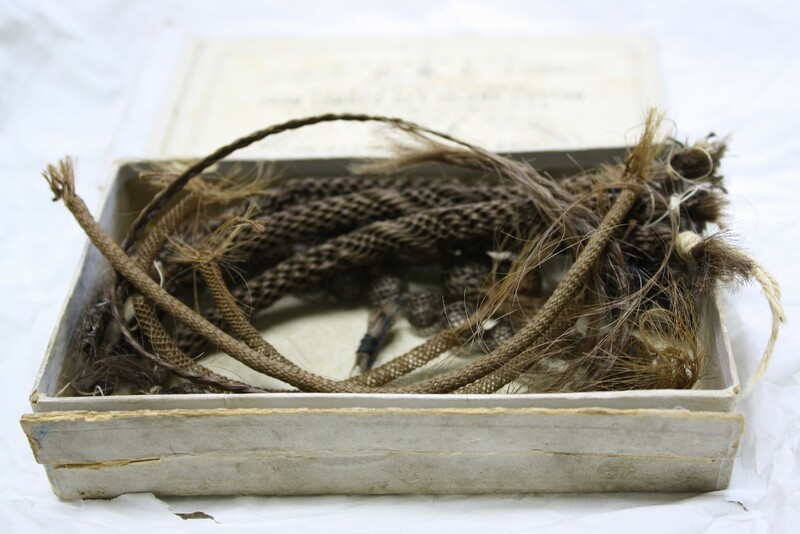 Today, you can still see woven Victorian hair mostly in museums. 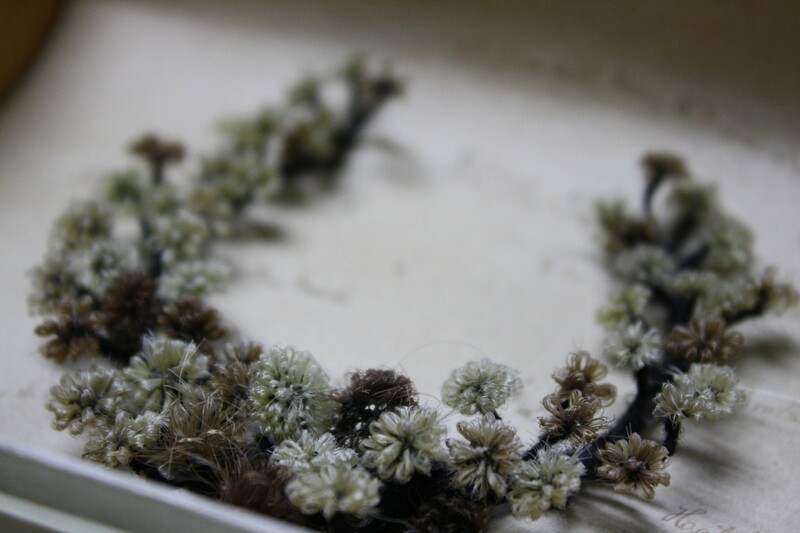 Rancho Los Cerritos will display numerous pieces of woven hair jewelry and wreaths in the library beginning May 22nd.